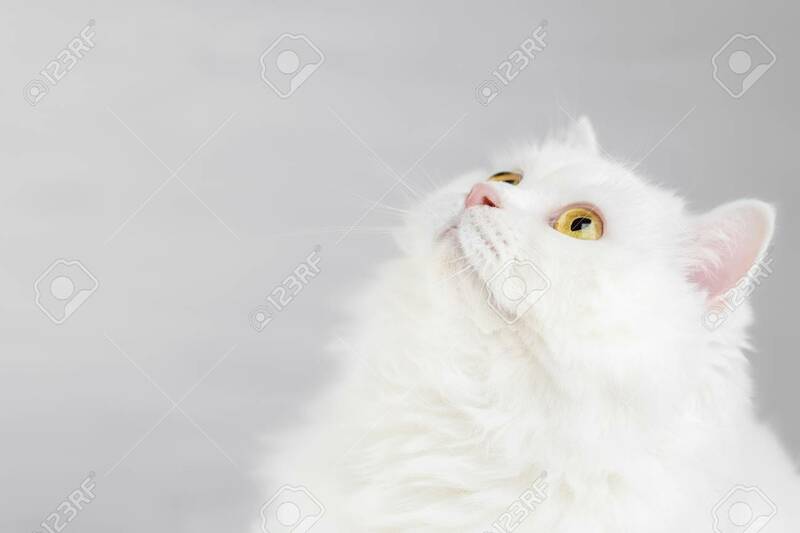 Portrait Of Fluffy Domestic White Highland Straight Scottish Cat Isolated On White Studio Background. Cute Kitten Or Pussycat With Big Yellow Eyes. Copy Space. Foto Royalty Free, Gravuras, Imagens E Banco De Fotografias. Image 113058773.